Cloghaun is one of the oldest Victorian homes on the Island. Thomas and Bridget Donnelly left Ireland in 1848, and completed Cloghaun in 1884. This lovely home has been preserved by their descendants and now offers guests a tranquil, romantic interlude from the demands of everyday life. Cloghaun is located on Market Street, one block from the harbor and close to many fine restaurants, shops and riding stables. All boat docks are within easy walking distance. This is where we stay every year. It is the best. Marti and Paul are great!! Love the Cloghaun! Quaint, reasonable, clean, very nice place overall. We have stayed at this B&B and it is GREAT. Highly recommend you choose this as your home away from home! LOVE the Cloghaun! We had our wedding reception there! 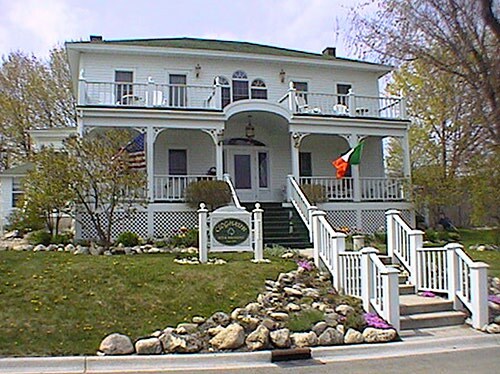 For more information on all of the rooms at the Cloghaun Bed and Breakfast please visit the room photos page on their website. 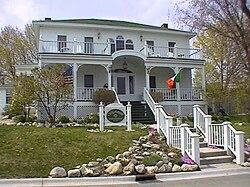 The Cloghaun Bed and Breakfast Page on Travel Advisor is also a good resource to research your stay at the Cloghaun Bed and Breakfast.